L’Occitane sent me some big balls! Huge, big baubles to hang on the tree, and they’re filled with lavender and tiny dried flower buds. And this, my friends, is why I love l’Occitane. Not because of my big balls, but because they have great attention to detail. They might have about three million different ranges and another launching every other week, but they keep things fresh, they change things up, they think of little twists on the usual products – hair mists, icy body gels, pretty little lip gloss and perfume duos. 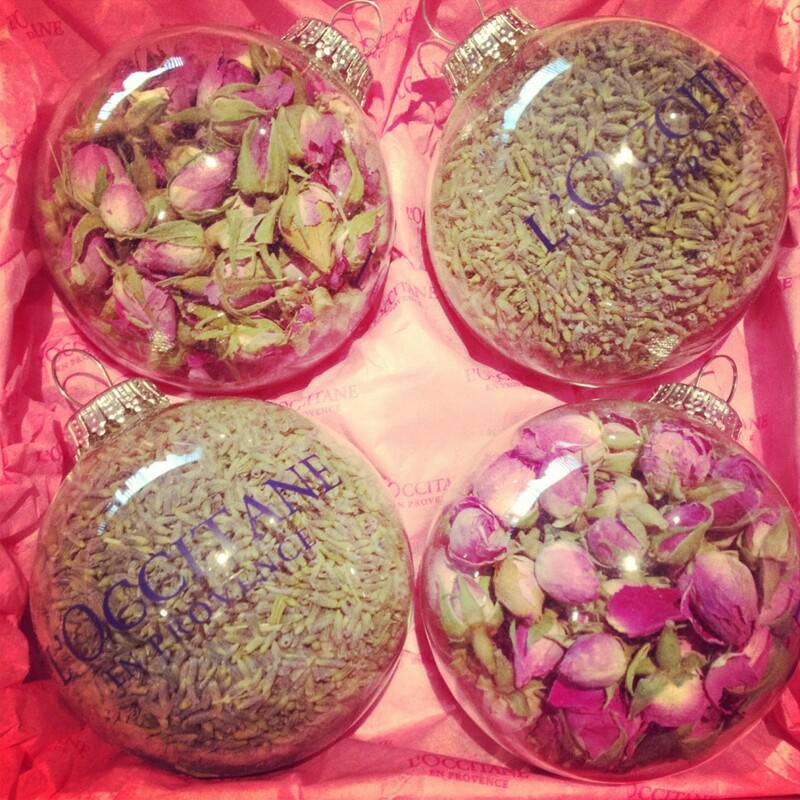 Who ever would have thought of making scented glass baubles? You can’t buy these beauties, unfortunately, but if you’re looking for the most delicious body cream ever invented then do see here: Almond Milk Concentrate – and I expect that you can buy empty glass baubles and fill them with whatever you like. Nice idea, isn’t it? One for next year, perhaps. Previous Post Christmas Top to Toe!